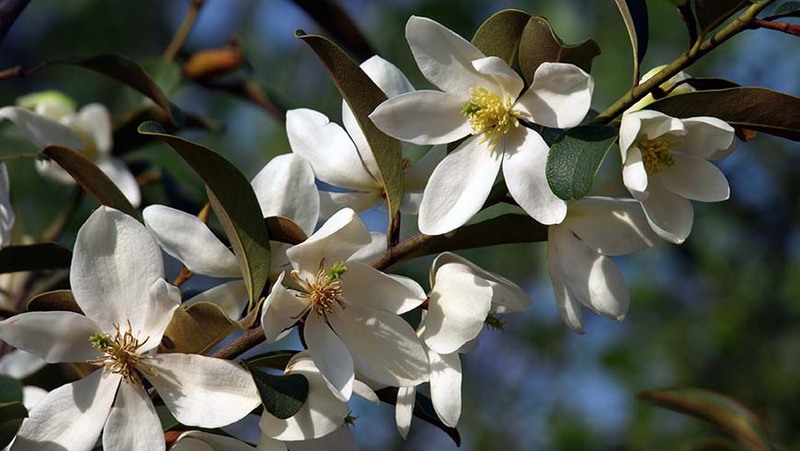 The Magnolia Collection contains over 100 different kinds of magnolias and highlights many rarely seen cultivars and species. White, pink, purple, yellow, or greenish colored flowers can be seen over a period from March through August. This important group of plant is sure to garner more widespread cultivation in the southeastern United States due to foliage and flower attributes. Since these plants are unlikely to be hardy in the northern United States, our collection represents a spearheading effort to alert southern gardens and gardeners to their landscape utility. Including both deciduous and evergreen taxa, the genus Magnolia remains one of our most important targets. Currently, we house a collection of varied species as well as many recently introduced cultivars (ca. 1980s to present), including some of the newly named cultivars bred by the late August Kehr, Ph.D. These are presently eliciting much excitement among magnolia enthusiasts.